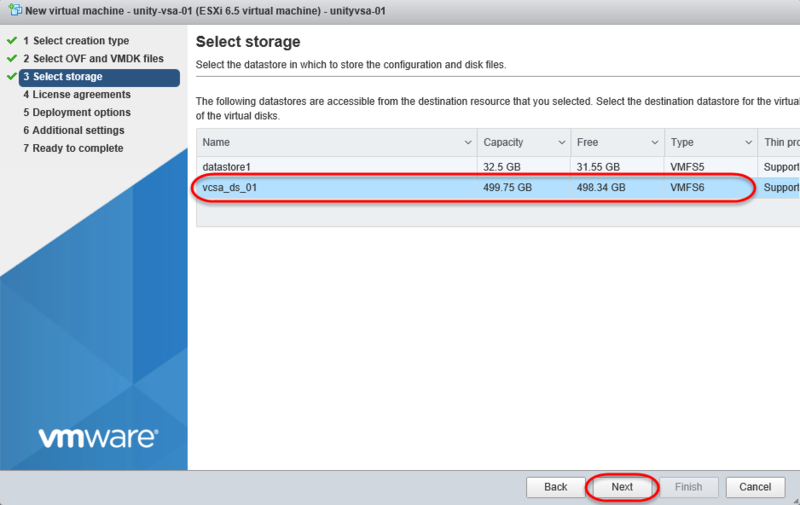 I am new to the EMC Unity Storage family, so I figured I would walk through the setup of the VSA on ESXi 6.5. 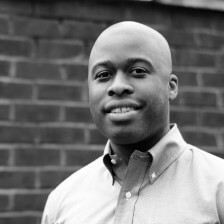 This post is not intended for production setup, but geared more to the individual that wants to spin up an instance and learn the ins and outs of the product. 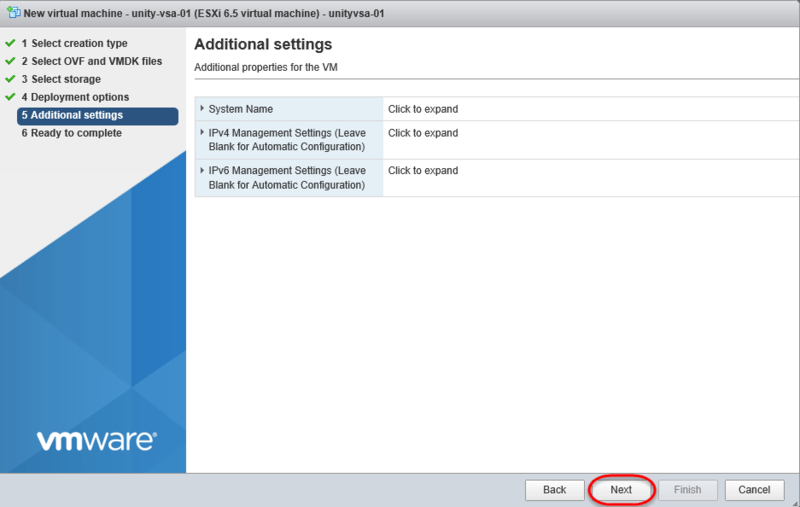 The first part will walk through deploying the VSA directly to an ESXi host. Let’s get started! 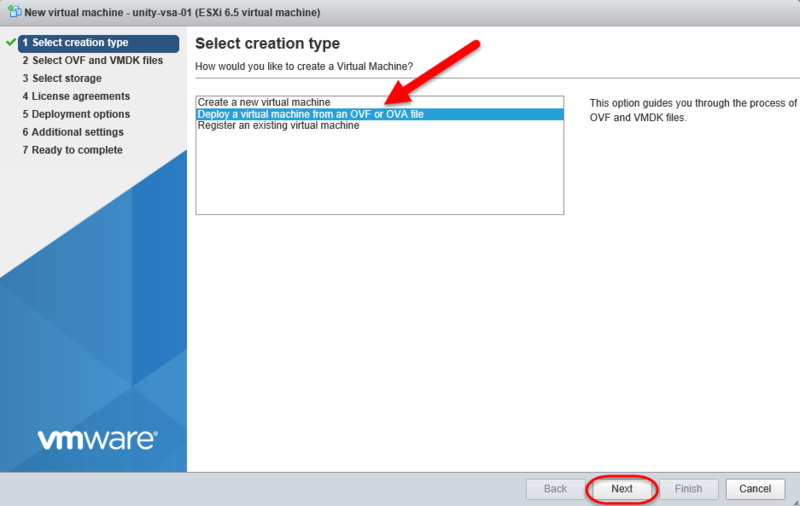 Step 2: Select “Deploy a virtual machine from an OVF or OVA file”. Click Next. 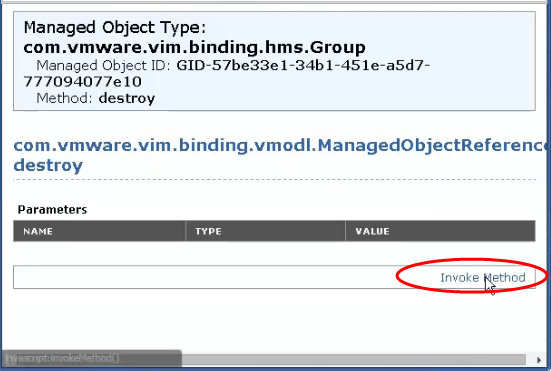 Step 3: Enter a name for the VSA, then browse or drag/drop the OVA file you downloaded to your computer. 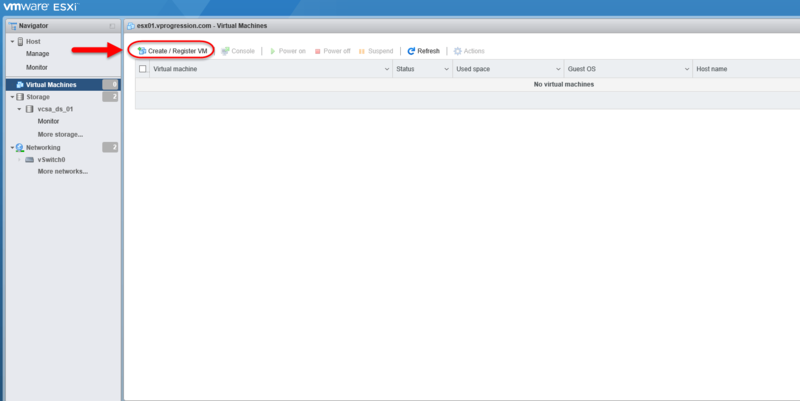 Step 4: Verify the file was uploaded, then click Next. 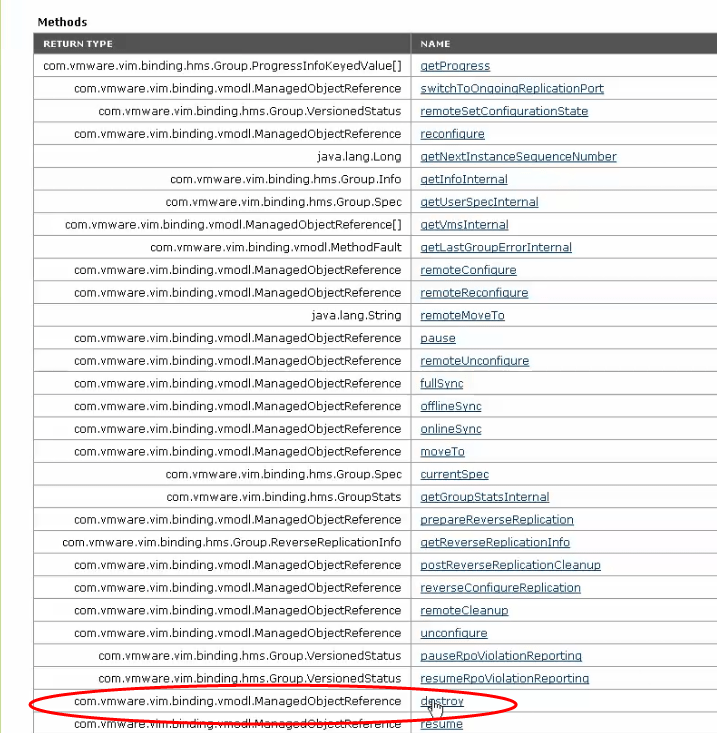 Step 5: Select a datastore from the list of datastores accessible, then click Next. 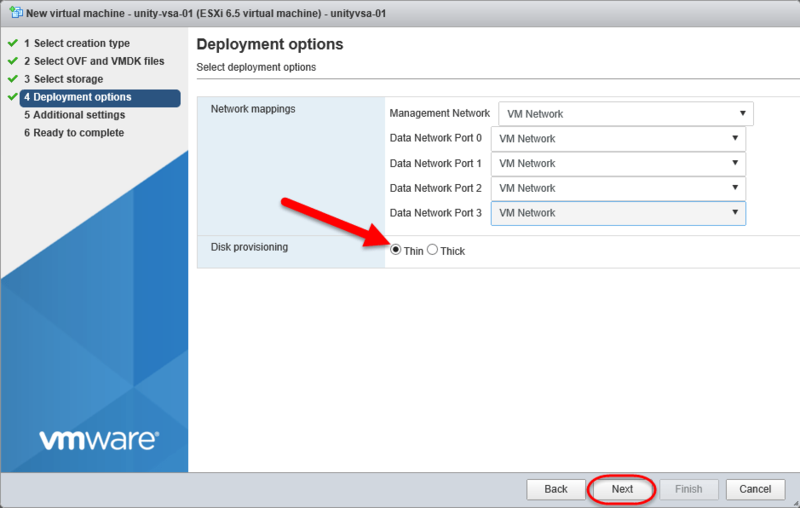 Step 6: Select the networks the deployed VSA will use. 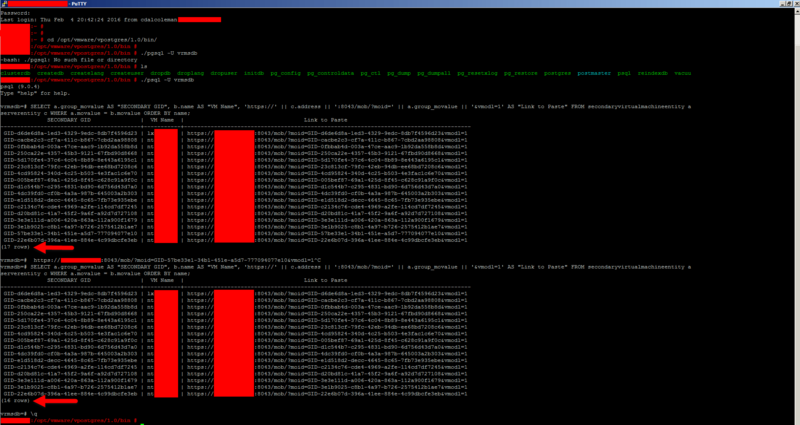 Since this is a lab, I will leave all the networks at default and select Thin Provisioning. Click Next. Step 7: Under Additional settings, leave all settings in there default state. Click Next. Step 8: Review all settings you selected, then click Finish. Step 9: Wait for the task to complete and you are done! 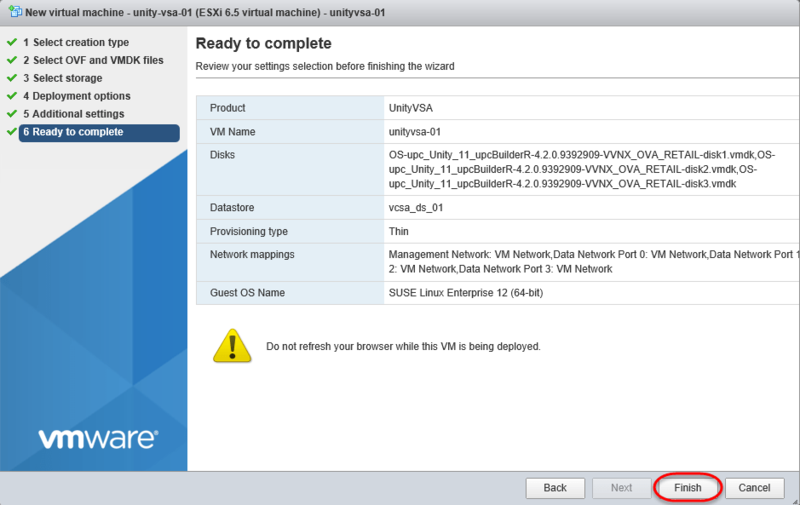 In the next post, we will focus on the configuration of the UnityVSA appliance. Thank you for viewing!